.Quiltscapes. : Prizes and Surprises! Congrats and Thanks! Prizes and Surprises! Congrats and Thanks! It's "Fair Days" around here. 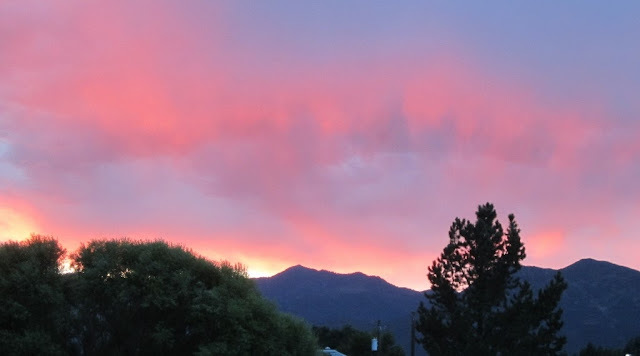 Beautiful, sunny days, long shadows, afternoon thunderstorms, leaves thinking about changing colors, cooler nights, garden harvest, spectacular sunsets over the mountains; the beginning of the end of Summer. It's time for the county fair, quilt shows, art festivals, and the State fair -- "Show & Tell" events for grownups, with prizes and ribbons too. Mostly, though, I was so proud of all our 4-H kids from this summer's Quilt Camp, whose cute Pixelated Chevron quilts stole the show at the county fair. I adapted the Rainbow Baby quilt pattern by Cynthia Brunz (Quilty magazine), to use with charm squares for our 9- to 12-year-old beginning quilters. Wish I had more / better pictures of these cute kids and their adorable quilts, but here are a few. Super quilts, super kids! 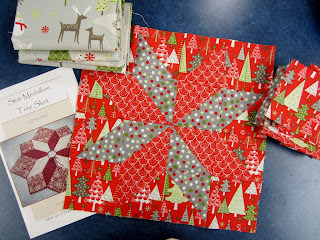 CONGRATULATIONS to ga447, (aka Gisela at Thankfull), who won a copy of my Tree Skirt pattern and some other fun loot in the recent HoHoHo blog hop! And, thanks to all those who hopped my way - I loved hearing from you. 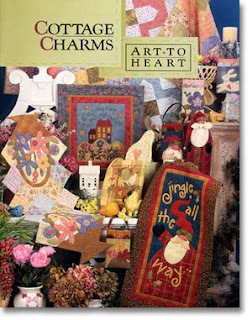 By the way, I located the pattern for the little Santa bottle cover - It's in Nancy Halvorsen's Cottage Charms book. Now for more THANK YOUs!! 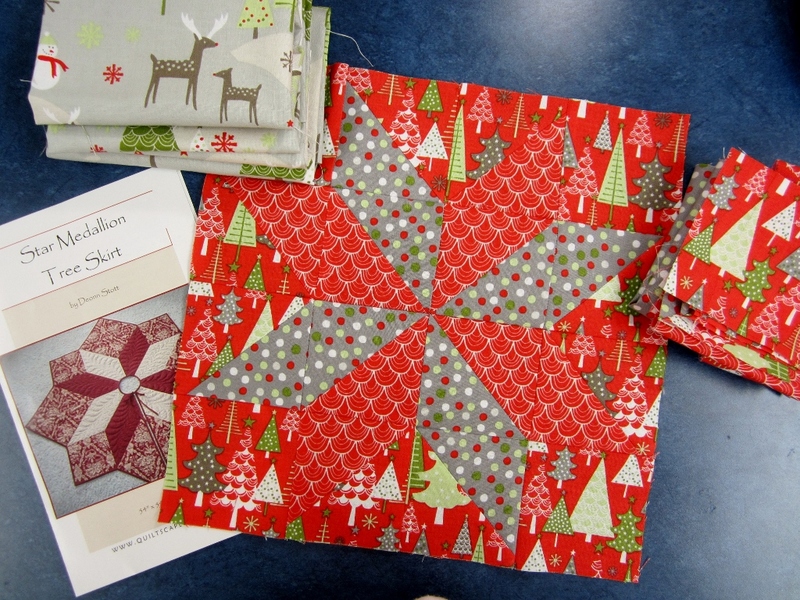 Last week, I taught a couple of classes (Snippets, Hexagami) for my local quilt guild. 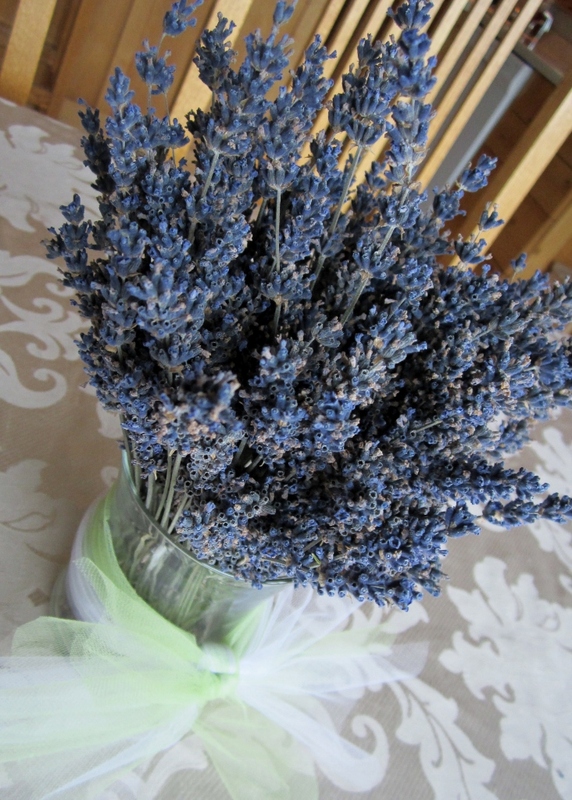 Susan, the guild president, sent me home with this lovely jar of Lavendar from her garden. Mmmmm, I love that Summer scent! Thanks, Susan! 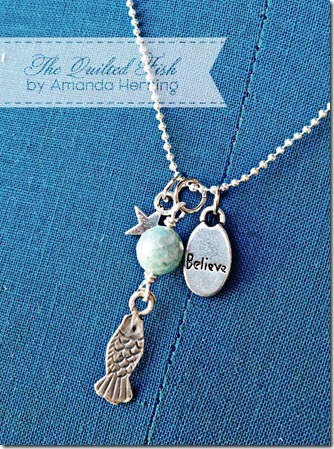 THANK YOU to my friend Amanda @ The Quilted Fish, who sent this sweet little necklace, just for making some projects from my favorite fabrics, Sugar & Spice, which she designed. I love it! She's a terrifically talented designer and wonderful person. Here we are at last year's Sewing Summit - she gave a lecture on Believing in Yourself - finding your passion... and she made a sweet pincushion for everyone who attended her class. 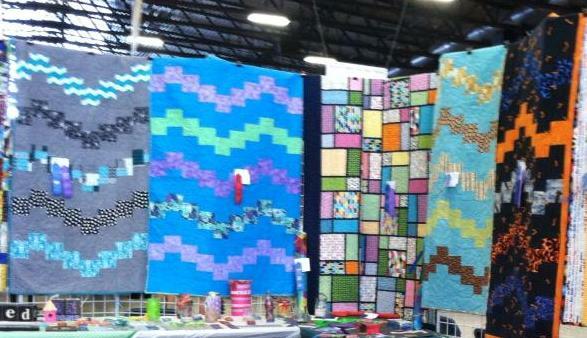 Her current line of fabric is Madhuri, featured at Quilt Festival in Portland, where she had a prize-winning booth. 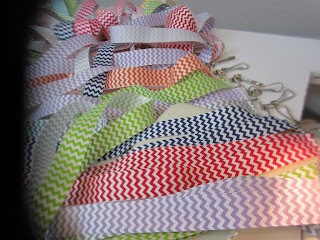 Her next fabric line? An adaptation of my favorite line, Twice as Nice. Awesome! 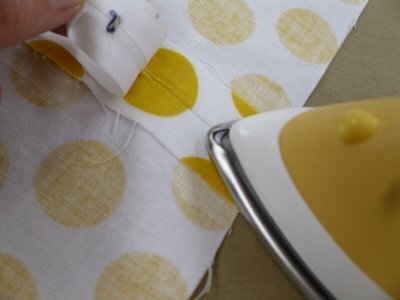 A big THANK YOU also goes to Madame Samm and to OLISO for sponsoring a giveaway at SewWeQuilt... and CONGRATULATIONS to my daughter Lauren, aka La-Li, who won one of these beautiful irons, which I immediately commandeered borrowed for use in a zipper tutorial the very day it came! I mean, I had to - it matched the fabric!! And finally, I borrowed my son's quilt submitted A Soldier's Star for the AQS Go! Have Fun quilt challenge. The quilt was juried into the show, and I sent the quilt on it's year-long tour around the USA. I used AccuQuilt dies to make it. The 6" half-square triangle die is my favorite, making it possible to piece the quilt together just perfectly (and so quickly!). 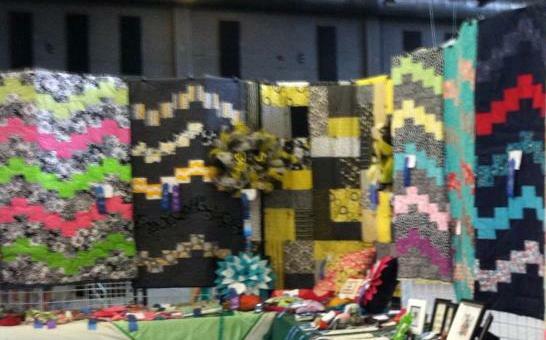 It won 2nd place in the pieced category last week at the AQS Quilt Show in Grand Rapids!! That was a fun surprise to learn from a friend on facebook! Soldier son with his quilt and his dog, Christmas 2012.
p.s. Can you tell we live with quilts?? 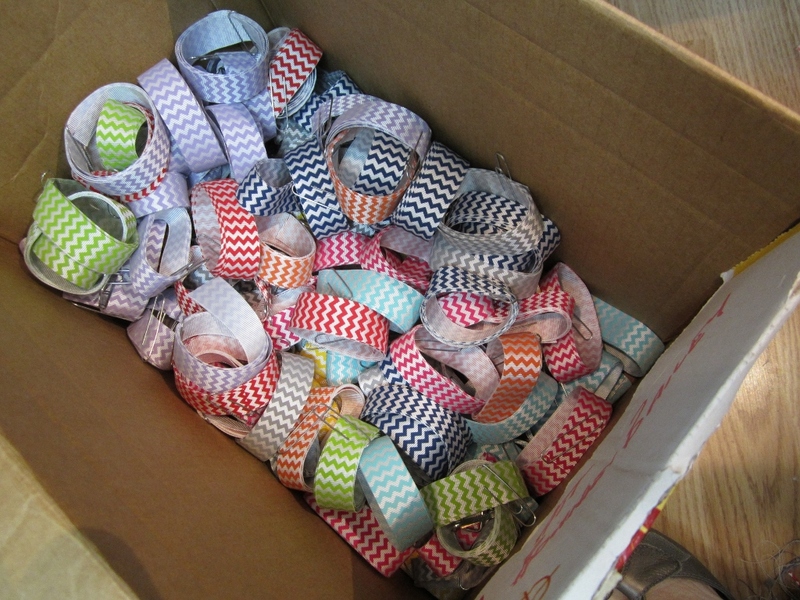 ...200 down, only 150 to go. The kids really well with their quilts. 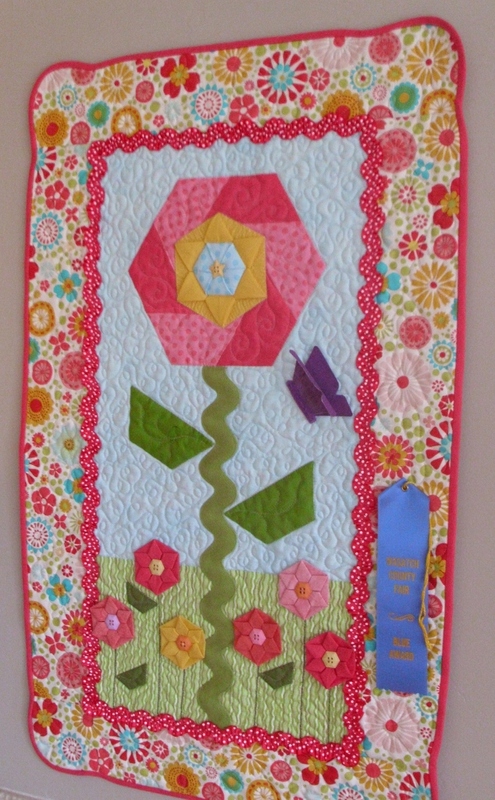 That is a lovely quilt you submitted for AQS. I love the quilting so much on it! The kids made great quilts and look at all of those lanyards, my goodness. The quilts that the girls made at quilt camp are amazing. Great job! Also, congratulations on placing 2nd in the piecing category. Your soldier star quilt is beautiful and the quilting, wow! Thank you for sharing. How wonderful to see those girls with the quilts they made! Congrats on the quilt win. It looks like everyone is a winner! Congratulations to all. I'll bet you wish you could travel with the quilt for a year. It is beautiful. It is ga447 and I received the pattern and the wonderful scraps. 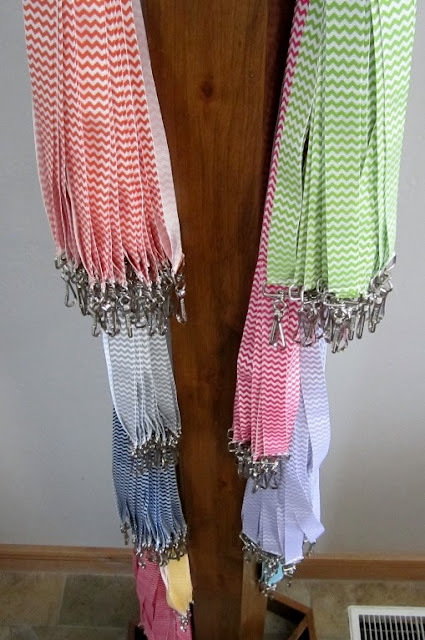 The fabric is so so sweet.